Then why not consider opening a Corporate Account with Hitchin’s Premier 24 Hour Taxi Company. We can cater for all your business travel needs without the worry of paying cash. We offer an exclusive meet and greet service at airports when collecting your clients and our 8 passenger seat minibus can reduce costs. We are also able to deliver small packages and parcels at competitve rates. Travel with Boxall Taxis to any destination throughout the UK including seaports, train stations and anywhere else you need to be taken on time and in comfort. 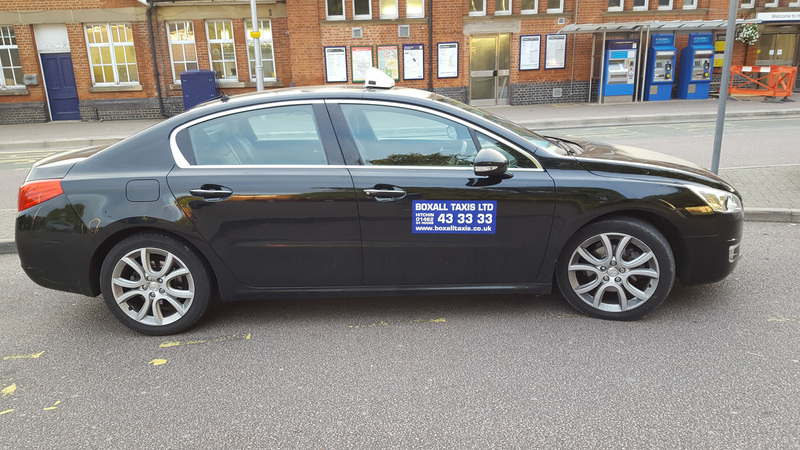 Boxall Taxis has local Hitchin drivers with extensive knowledge of all areas of Hitchin and the wider area so you can be sure of a friendly local driver. Boxall Taxis has many regular customers throughout Hitchin thanks to a reliable, friendly and professional approach. Boxall Taxis has a number of business accounts providing a hassle free taxi booking service that maintains a professional approach for your company. Corporate account facilities which include fixed prices for business users including airport transfers. We offer a meet and greet service at all airports. We are also able to deliver small parcels and packages at competitive rates. Book a Boxalls Taxis 8 passenger seated minibus – a great way to save money for groups of people as it saves the need for two taxis!